P and I had been talking about wanting to move to a new location, and, well, it happened with P’s current company. A proposal was submitted in June to move his position to the San Diego office and it was approved in July. P’s assignment will be for a minimum of 18 months, and then it will be re-evaluated. This was not a forced move, it was an opportunity for us to have new adventures. We chose our route to maintain consistent driving times of about 8 hours everyday, we didn’t want any 10 or 12 hours days. 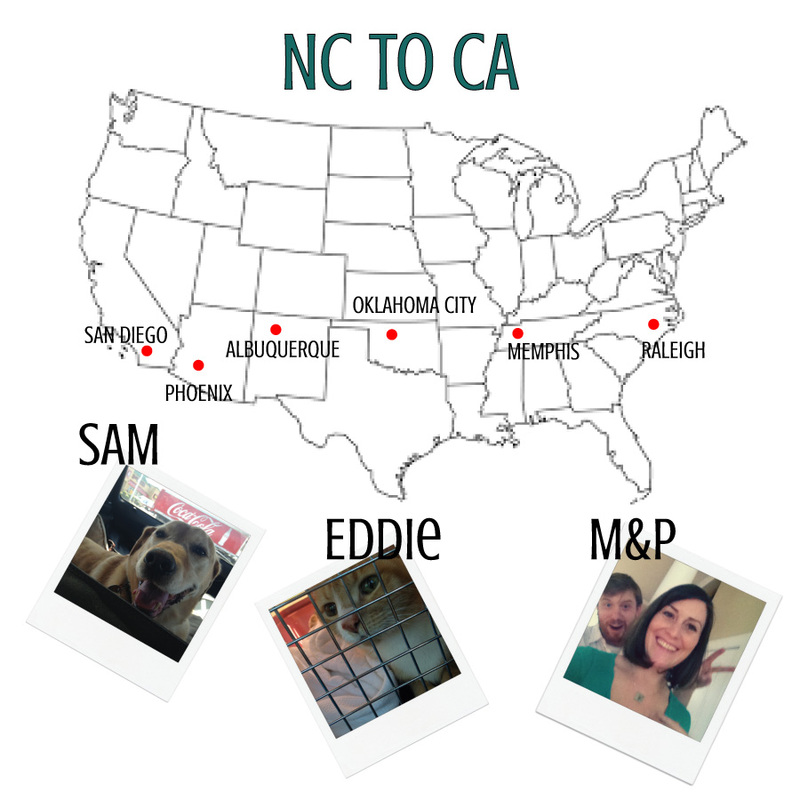 Asheville is only about a 4 hour drive from Raleigh. We did not want to have too long of a day to start the trip, since the truck was loaded that day and the house cleaned out. Good thing we didn’t aim too far for that day. About 40 miles into the trip, the truck starts to have issues, warning lights and sounds. We wait for 2 hours, mechanic comes says he doesn’t see anything, should be fine. Another hour down the road, same thing. We continue to Asheville ignoring the warning, with a new truck lined-up at our destination by Penske. 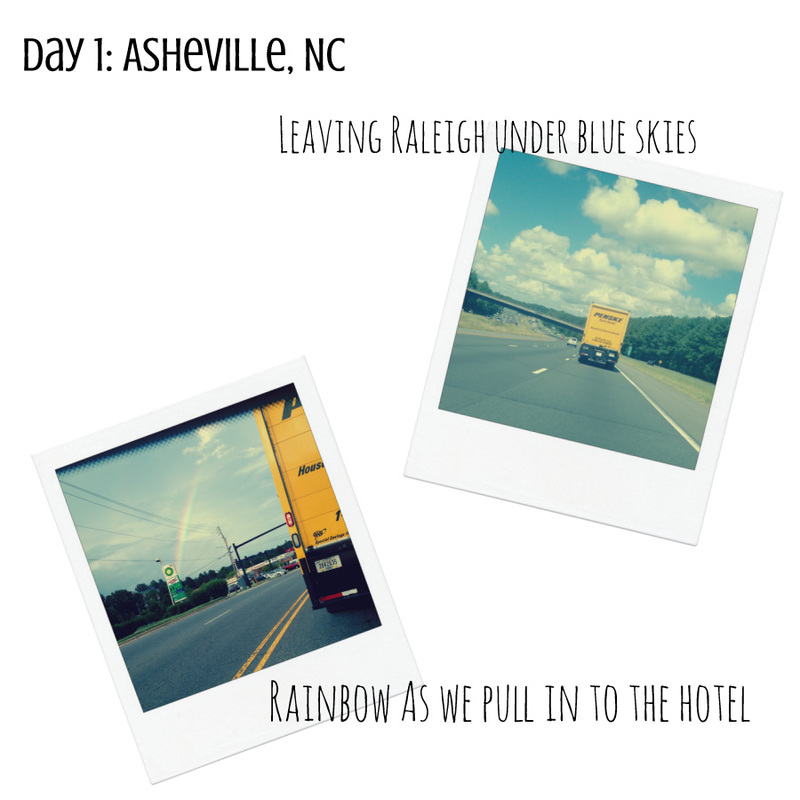 We arrive in Asheville around 6:00, new truck by 7, and then movers around 9. Everything has to be moved from the current truck to a new truck, so everything is on backwards from original loading and of course it starts pouring rain mid-way through. But, the good news is, we have a new truck and we are still on schedule. Animals shockingly adjust fine, Eddie comes right out of his carrier eats, drinks, poops…I was so relieved. Sam, starts day one of his hunger strike but breaks it while we pop over to get fast food by eating all the kitty food. P and I get up early and go to Cracker Barrel. We enjoy breakfast but are ready to get on the road. Luckily, day two there are no more mechanical issues and we are on our way, destination Memphis, TN. Day 2 brings us beautiful views as we come out of the mountains, and into Tennessee. Tennessee is a shockingly long state, we drove a whole day and we were still in a state touching NC. The hotel in Memphis is quite unpleasant, I would not repeat a stay there. This however, was made up by having a great BBQ dinner at Central BBQ. Best ribs ever and good beer to go right along with it, the bbq sandwich wasn’t too bad either. Out of Memphis and straight into Arkansas. This was my first time to drive across the Mississippi river, and we got to drive across it 3 times!! (maybe due to a little wrong exit mishap). I have to say the animals were not a fan of AK, the roads were a bit too bumpy. Eddie at big bumps would look up at me and meow, as if to say, could you watch it 🙂 Fairly uneventful drive, made good time to Oklahoma City and was pleasantly surprised at how nice the hotel in OK City was. 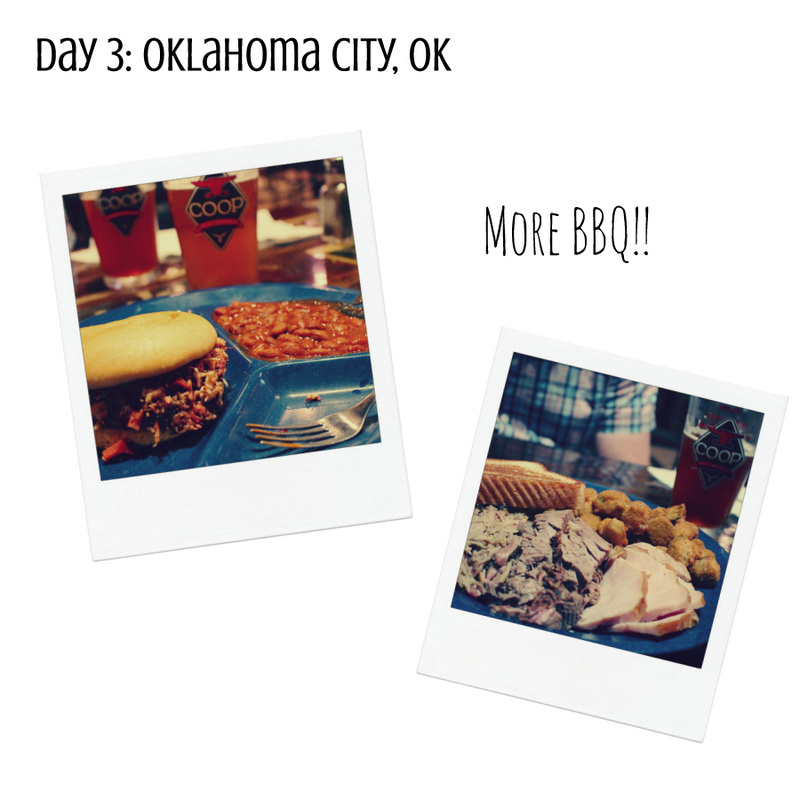 We got all happily settled in and went to find some more BBQ at Bedlam BBQ. Sorry OK City but Memphis won out on the BBQ in my opinion. However, I did really like the mix of chopped meats used in the sandwich and the beans were tasty. We got up super early to get on the road. We were greeted by the giant moon in front and the rising sun following us. 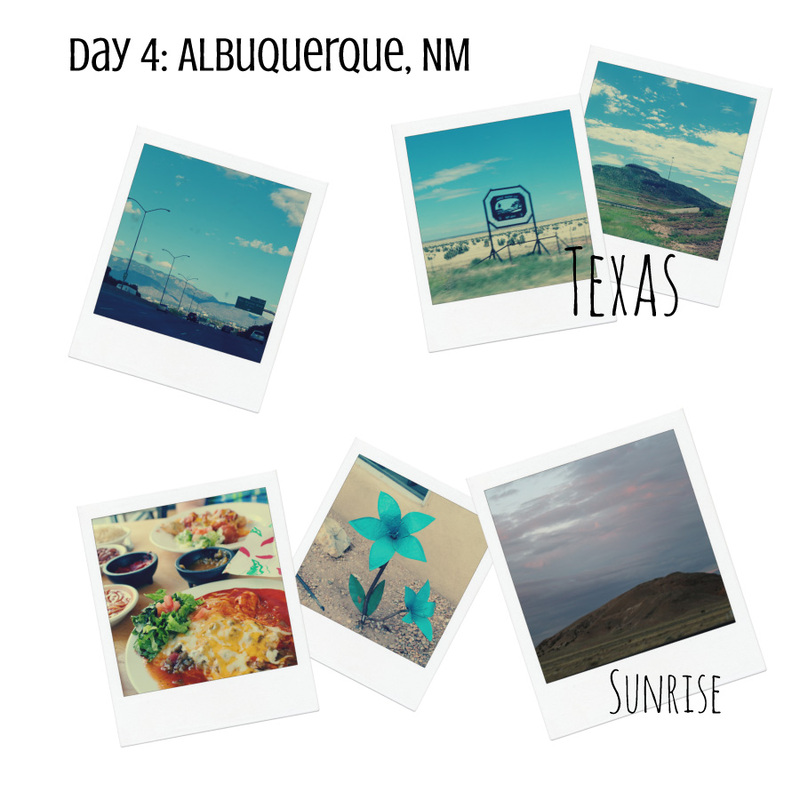 Day 4 was by far the longest day, driving through Oklahoma, Texas, and arriving in New Mexico. It was amazing to see the rapid change in landscape. The wind in Texas was unreal, seriously wind-swept plains. Our dinner at Cocina Azul in Albuquerque was awesome (though not fancy), so much flavor! I had lots of questions from my personal Facebook about what the spaghetti looking dish was. It was Sopa de Fideo; this was my first time having tried it (or knowing about it)– it was good. The enchiladas were so tasty but SPICY. The day greeted us with an unbelievable sunrise in New Mexico, I’ve never seen colors like that. Day 5 was AMAZING landscape wise; taking us from New Mexico into Arizona. We saw wind-swept plains, rocky red earth, forests, and finally cactus. 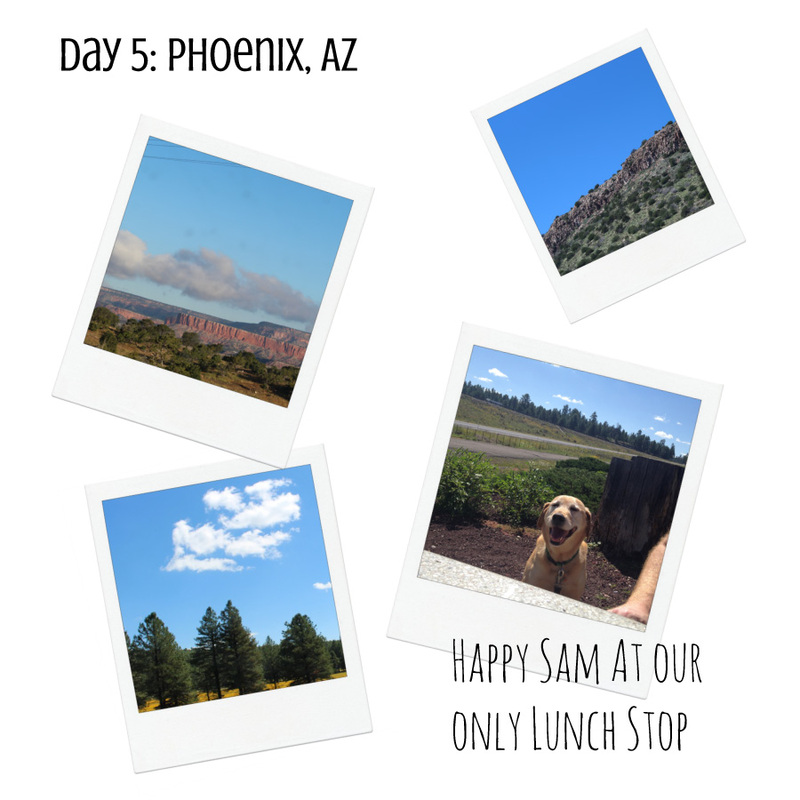 This was the only day we stopped for lunch, we stopped while driving through the Kaibab National Forest outside of Flagstaff and had Subway on a picnic table outside of a gas station. More Mexican style dishes in Phoenix at Gallo Blanco Cafe, with tacos and guacamole. The food was good but not as good as New Mexico. The day that brought us to our new home!! I cannot tell you, how anxious I was to get on the road and just get to San Diego! The change in landscape from Arizona and California was just as amazing as our other days of travel. This was my first glance of what I considered the more “tv” view of a desert–with sand and dunes and little vegetation. We glimpsed the fence separating us from our Southern neighbors and I went through my first two border related checkpoints. 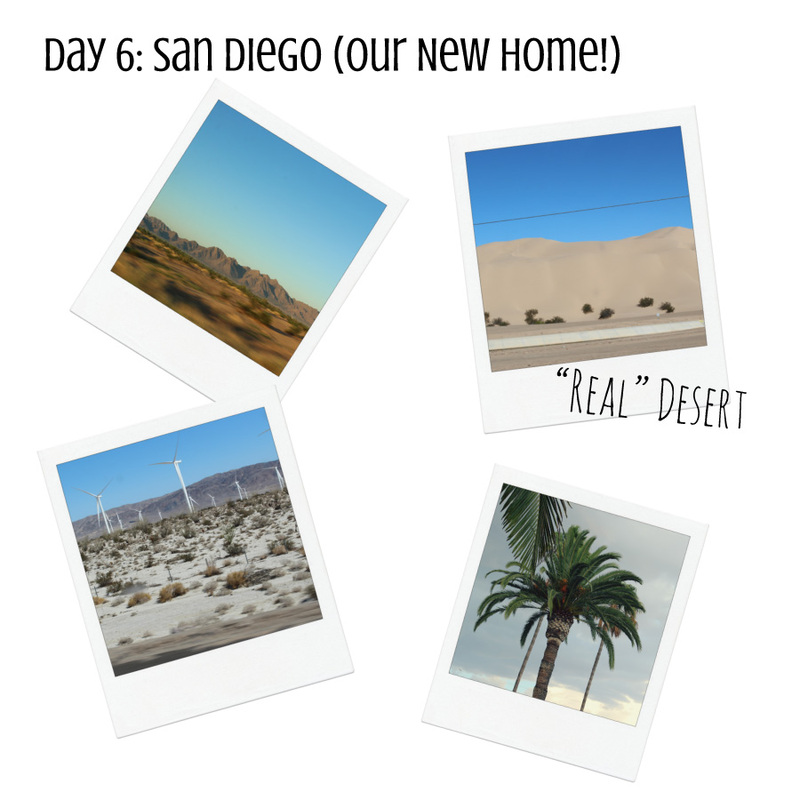 We climbed through high mountains in 100 degree temperatures, and finally arrived into San Diego county and our new home! I’m one of those people who hates to be in the car for long periods of time, I’m not a journey kind of person, but I want to do this trip again! I think everyone should get to experience driving across the country at least once. To get to see the change in landscape, to see how different and vast our country really is. 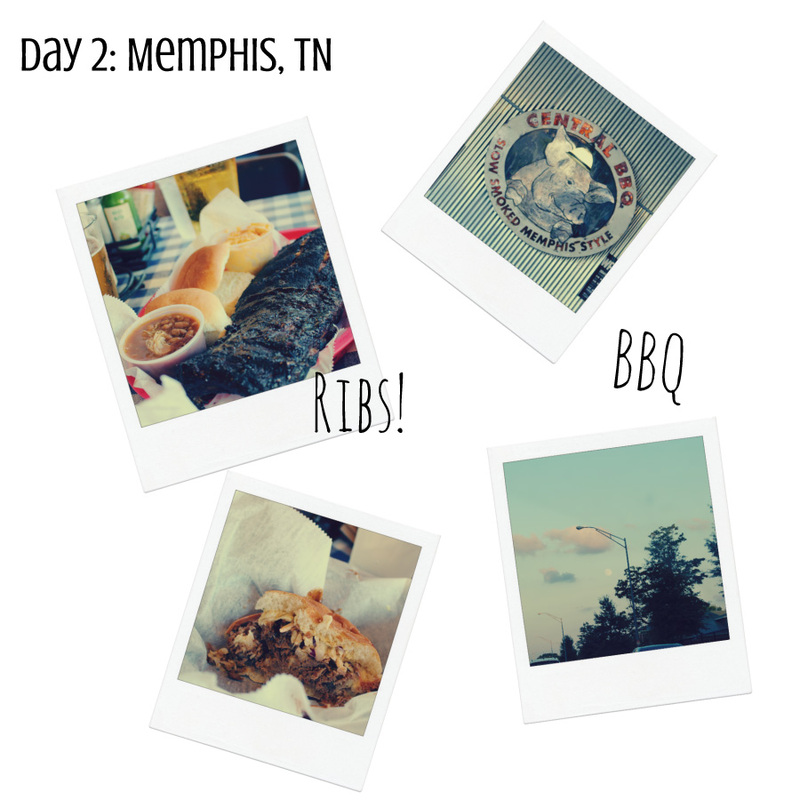 We 100% want to do it again, but next time being able to enjoy it more, explore some of the cities we stop in, and taking a million more pictures. I was dying to be able to take more pictures, but didn’t want to take the time to stop (I did not want the animals to be in the car one minute more than necessary). I can’t accurately describe how amazing the scenery was, everyone should drive cross-country…REALLY! 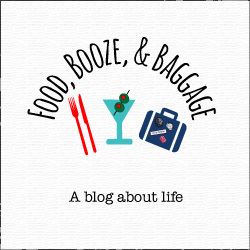 For more logistical details of the trip: where we stayed/route, moving tips and road trip lists. Have you ever driven cross-country?